A U.S. judge on Thursday called for an investigation into allegations of trade secret theft that were raised in a court battle between Silicon Valley giants Uber and Alphabet over their rival self-driving car programs. U.S. District Judge William Alsup in San Francisco also partially granted Alphabet's self-driving Waymo unit's bid for an injunction against Uber's self-driving efforts, and rejected Uber's arguments that Waymo's trade secret allegations should proceed in private arbitration. The acrimonious trade secrets battle could determine the future of Uber's self-driving car operations and the strength of Waymo's toehold in the sector. Alsup filed his injunction opinion temporarily under seal, so its scope and details could not immediately be learned. The case hinges on over 14,000 confidential files that Waymo, formerly Google's self-driving car program, alleges were stolen by former Waymo employee Anthony Levandowski before he left the company. Waymo claims the stolen information made its way into Uber's Lidar system, a sensor that uses light pulses to "see" the environment. 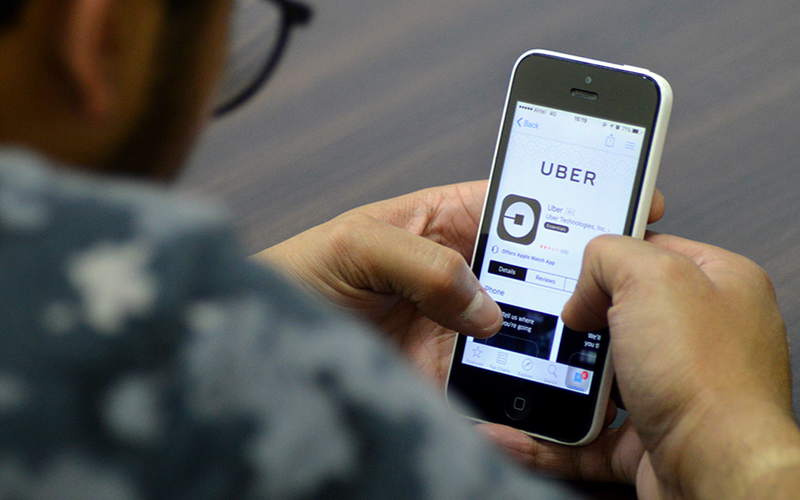 It alleges the documents allowed Uber to fast-track its own technology and avoid years of costly research. In referring the case to the U.S. Department of Justice for investigation of possible trade secret theft, Alsup said he took "no position" on whether a criminal prosecution was warranted. In his arbitration ruling, however, the judge noted the record contained "ample evidence" that Levandowski breached his duty of loyalty to Waymo. Uber declined to comment on Alsup's request for a separate criminal investigation into the theft allegations. In a statement the company said "we remain confident in our case and welcome the chance to talk about our independently developed technology." Uber has not denied that Levandowski took Waymo's documents, but says they never made their way to Uber, nor into its own designs. Reuters reported last week that the Justice Department had begun a separate criminal investigation into Uber's use of a software tool that helped its drivers evade local transportation regulators. In a statement, Waymo said Uber's bid to have the civil case heard in private by an arbitrator, not a jury, was a "desperate" attempt to avoid the court's jurisdiction. Unlike court proceedings, which are largely conducted in public, arbitrations take place behind closed doors. The Alphabet unit asked Alsup to issue an injunction preventing Uber from using Waymo's trade secrets, and Levandowski from working on Lidar. Complicating Uber's task is the fact that Levandowski has invoked his constitutional right against self-incrimination and has refused to testify. Alsup wrote that Levandowski's position "has obstructed and continues to obstruct both discovery and defendants' ability to construct a complete narrative as to the fate of Waymo's purloined files."